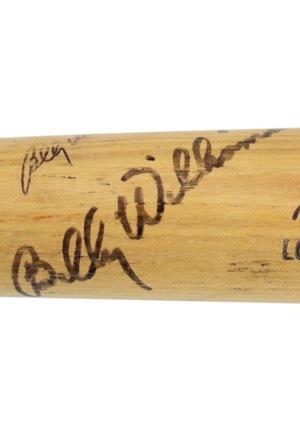 Billy Williams was inducted into the Hall of Fame in 1987. 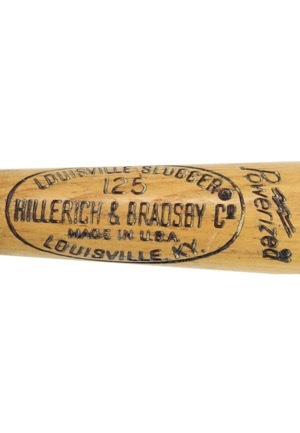 Manufacturer: Hillerich & Bradsby Length: 34 inches Weight: 32 ounces. 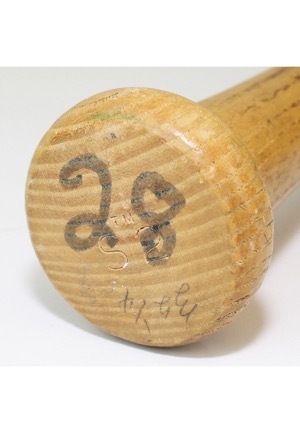 Williams player number “28” is handwritten in black marker on the knob. 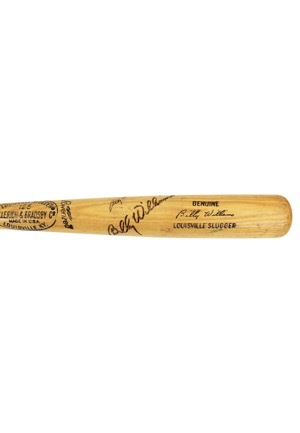 The bat is cracked and shows evidence of game use. 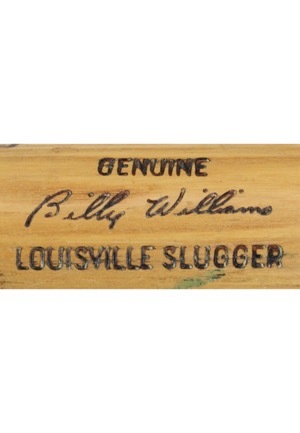 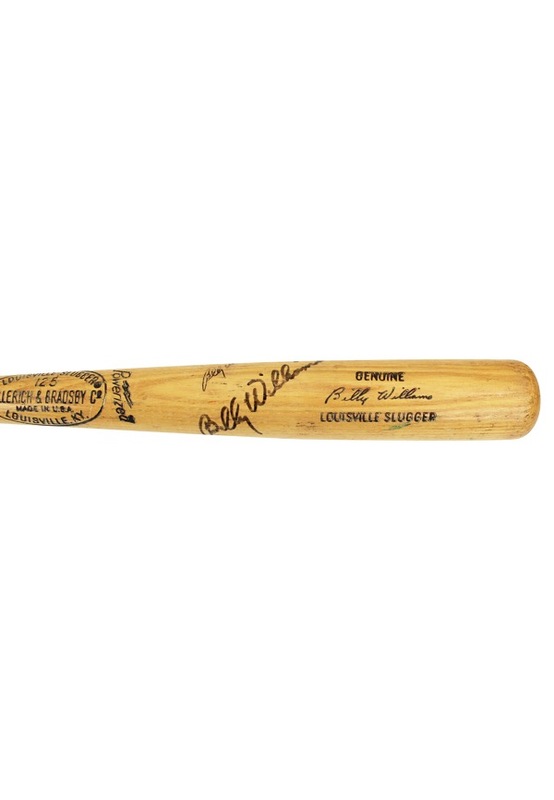 Williams signed twice on the barrel in black marker and in our opinion the signatures rate a combined 7. 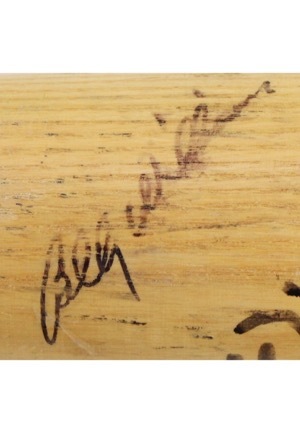 Accompanied by a LOA from JSA and a PSA/DNA LOA grading the bat a GU 8.